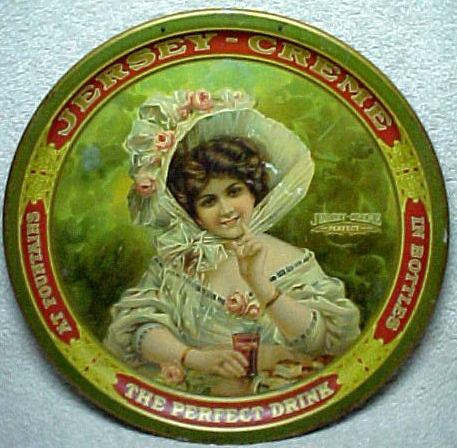 Serving Tray for Jersey-Creme Soda tray, dates roughly to 1900-1910. This tray features a beautiful woman who is well dressed in an outdoor forested scene. The contrast of the red in the border with the green on the rest of the tray makes for a really effect.